Kevin Lim/THE STRAITS TIMES Kim Jong Un and Donald Trump met in Singapore on Tuesday. Seven months after the first U.S.-North Korea meeting, Pyongyang has done little to eliminate its nuclear arsenal — a scenario that political watchers don’t see changing even after a second or third summit. North Korea’s top envoy, Kim Yong Chol, in currently in Washington D.C. to discuss the prospective of a second summit between U.S. President Donald Trump and North Korean leader Kim Jong Un that could take place as early as March or April, according to reports. The prospect of more face-to-face talks is undoubtedly a positive development — regular dialogue helps contain conflict on the Korean Peninsula — but it isn’t expected to push the North on denuclearization, according to experts. Rather, Trump and Kim may simply be looking to keep communication lines open and avoid the heated saber-rattling that defined their relationship in 2017. Both leaders could “offer enough flexibility and concessions to reinvigorate an engagement process that many observers argue has lost steam,” analysts at political consultancy Eurasia Group said in a Friday note. Trump and Kim are, in many ways, content with the status quo, analysts from Eurasia argued. 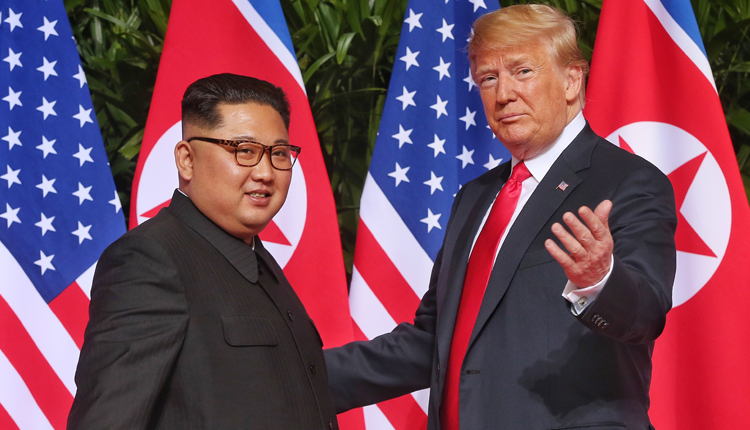 Kim, no longer worried about a U.S. military strike, has been able to make inroads in his global public relations campaign, while Trump has claimed a historic “win” in stabilizing the North, they said. Destroying the full range of North Korean weaponry has been the primary reason driving ties between Washington and Pyongyang, but many believe that’s unlikely to happen after a few meetings. For now, the White House is likely focused on obtaining disclosures from Pyongyang regarding the full scale of its weapons program. But Pyongyang, which last year claimed to have dismantled a testing site and a missile facility, is unlikely to do that unless it receives certain U.S. concessions. They could be in the form of easing sanctions or Washington declaring an official end to the 1950-53 Korean War. From Washington’s perspective, doing those things “would weaken its hand and create pressure to withdraw its 28,000 troops from South Korea without any fundamental changes to the security situation,” the Fitch note stated. Kim, meanwhile, may be worried that revealing the locations of nuclear facilities would be tantamount to “providing Washington with a target list,” Fitch continued. Moreover, any inventory of the North’s nuclear arsenal “is extremely unlikely to be comprehensive as it will seek to retain a limited arsenal as the ultimate guarantor of its security,” it added. Nuclear technology is considered paramount to the identity of the North Korean regime, which many say makes the prospect of total weapons destruction even more unlikely.